Products Archives - R&L Fire and Security Specialist's llc. R&L Fire and Security Specialist's llc. 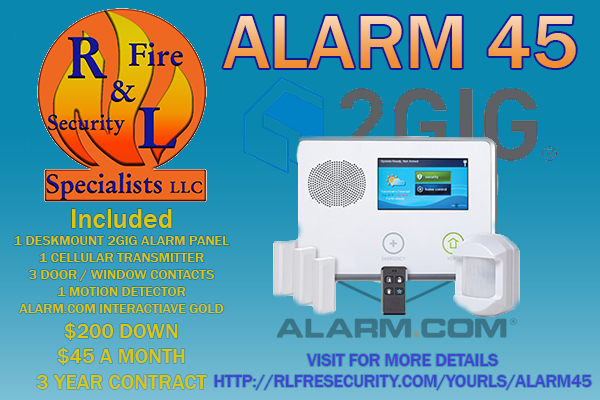 $200 Down$45 A Month3 Year Contract Click Here For More Alarm 45 Information Visit our Alarm 45 Page for more information on our system.